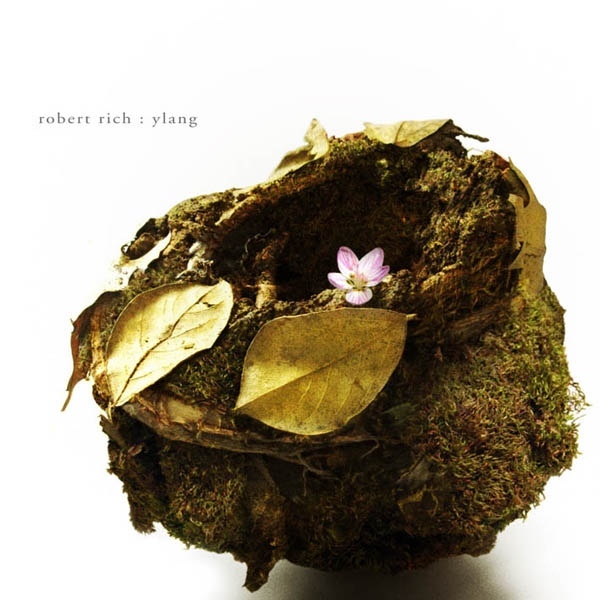 It seems that every new project that Robert Rich immerses himself in — be it solo or collaborative — adds another level of enlightenment to whatever comes after it, carried forward to his next release in a cumulative way. Ylang is his first solo outing in around three years, a nine part opus set in motion by combining elements of South Indian Karnatic music, trance ambient, jazz, and minimalist groove into a conceptual assemblage much greater than its parts. While synthesizers still play a large role in achieving his results, Ylang seems to benefit from an evergrowing presence of acoustic instrumentation, which includes piano, lap steel guitar, flute, and percussion, and via the contribution of numerous guest players (track depending), cello, violin, upright bass, mrdungam (a two-headed Indian hand drum), guitar, drums, and bansuri flutes. Add to this the superb vocalizing by Emily Bezar on several of the tracks and you have a robust mix of organic components augmenting the overall sound, which benefits from plenty of studio processing as well. The end result is breathtaking in its depth and shimmering beauty. One can absorb this on a number of different levels — it is after all very melodic and overtly rhythmic, but also somewhat trance inducing, and thus suitable for spiritual contemplation or meditation, or even winding downward on the spiral into slumber. A superb release, and one not to be missed.